*The parents of six girls whose photo caption “KKK” showed them smiling broadly with their hands above their heads signifying who knows what is suing the Barrington School District for defamation. The photo ignited a firestorm on social media over the summer and based on the infamous letters used as the caption, we don’t have to tell you why. But the parents say everyone got all up in arms based on assumption. Why did they take so long to come out with this? Who knows. 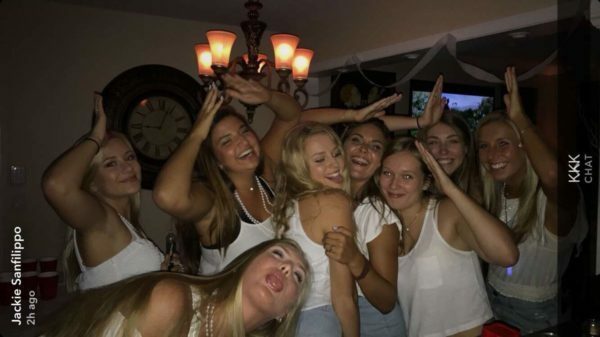 The photo was retweeted and shared thousands of times, with some in cyberspace interpreting the girls’ gestures as mimicking Ku Klux Klan hoods. Officials at Barrington Community School District 220 were inundated with demands to take action against the girls. The “white-out” themed party with the girls in attendance was said to have taken place off campus. But as it turns out, white-out only applied to the color of requested attire. Think Sean “Diddy” Combs famous parties. *On Monday a number of social justice groups will being a 10-day March from Charlottesville to Washington, D.C. The march is a rebuttal to the totally inadequate response from president Donald Trump on the violence that took place in Charlottesville earlier this month. The incident ignited when those against the removal of a confederate statue created havoc and afterwards, Trump blamed “many sides” and not once held the white supremacists/KKK instigators accountable. 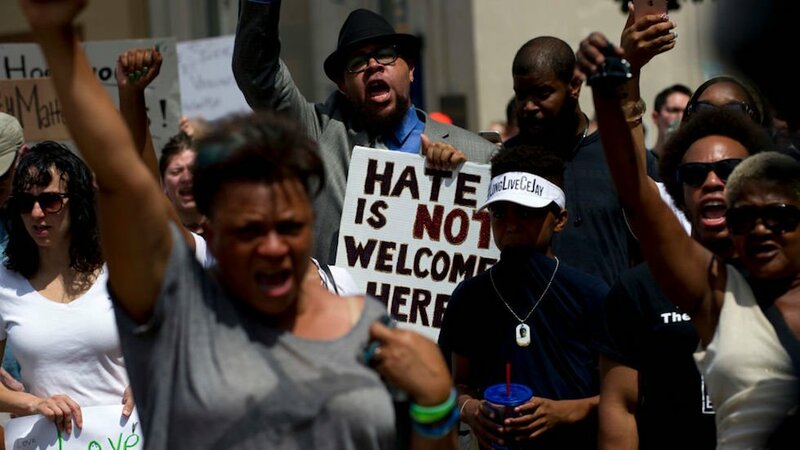 Dubbed “The March to Confront White Supremacy,” the event was organized by groups including The Movement for Black Lives, the Women’s March, and Democracy Spring.